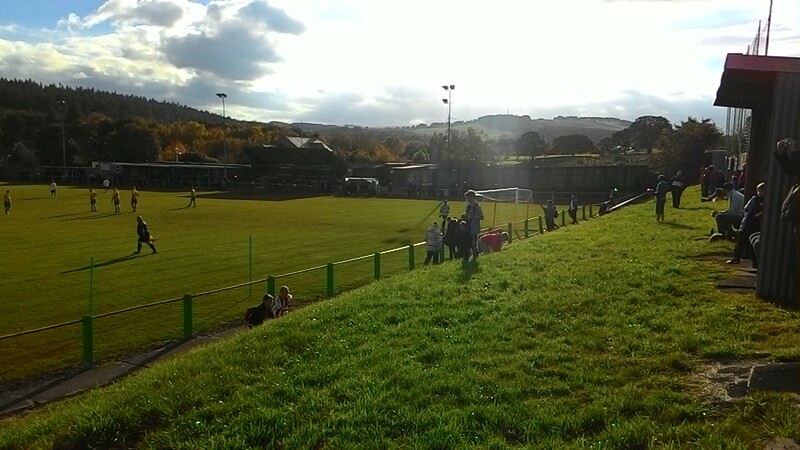 The Hartlepool Mail recently listed the three most scenic football grounds in the Northern League as those at Tow Law, Esh Winning and Brandon. I asked a non-league football fan if that was fair and he said he would add Stokesley to the list. Well after visiting the ground for their game against South Shields you have to say it’s a cracking looking place. ( The ground is actually in Waterhouses, a nearby village ). Notice the wind turbines in the background. 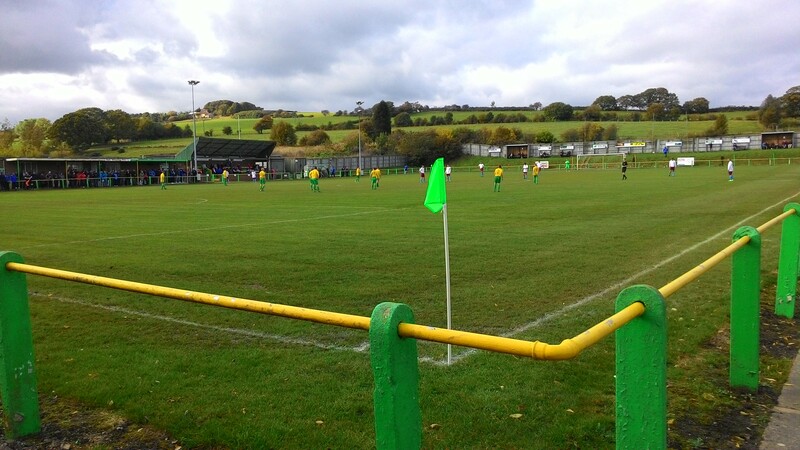 This tells you this is a ground which is not in a National Park, or an Area Of Outstanding Natural Beauty as wind turbines don’t get erected in such places. The way protectionists go on, you’d think that there should be no beautiful scenery anywhere else, but that’s a mistake. There is plenty of good landscape not in designated protected areas created in the 1950s. And there’s plenty of rubbish landscapes inside the 1950s protected areas. The most enjoyable way to get to Waterhouses is along the gorgeous wooded Deerness Valley Way, an 8 mile former railway line from Durham which closed in the late 1960s. It’s got real people using it – walkers, horse-riders, cyclists and even teenagers congregating on the bridges ( not in a threatening way though ). Hey cyclists, attach a bell to your bike and use it. It’s busy. 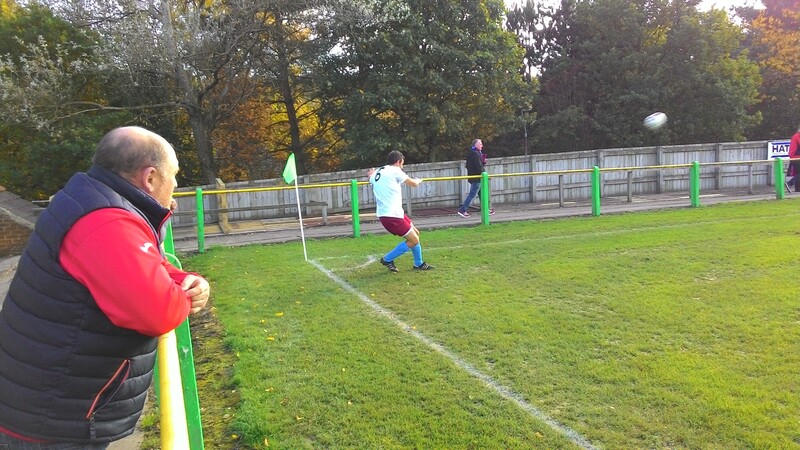 The match itself finished 4-0 to the visitors from South Shields. This is their best known player Julio Arca who has taken a drop in class to compete. He’s a joy to watch at this level. This entry was posted in Uncategorized on October 24, 2015 by Andrew Carey.